ForBidding is an eBay sniping application that provides a unique, highly-visual interface to the Gixen.com bidding service. ForBidding provides a wide range of auction management features for anyone with a paid ($6 a year) Gixen.com account. Schedule the time prior to the auction end when your bid will be placed. Control the Gixen mirror servers to increase your chances of winning. Want to set a bid and forget it? With ForBidding, you can get in and out in seconds. Use as much or as little functionality as you need. 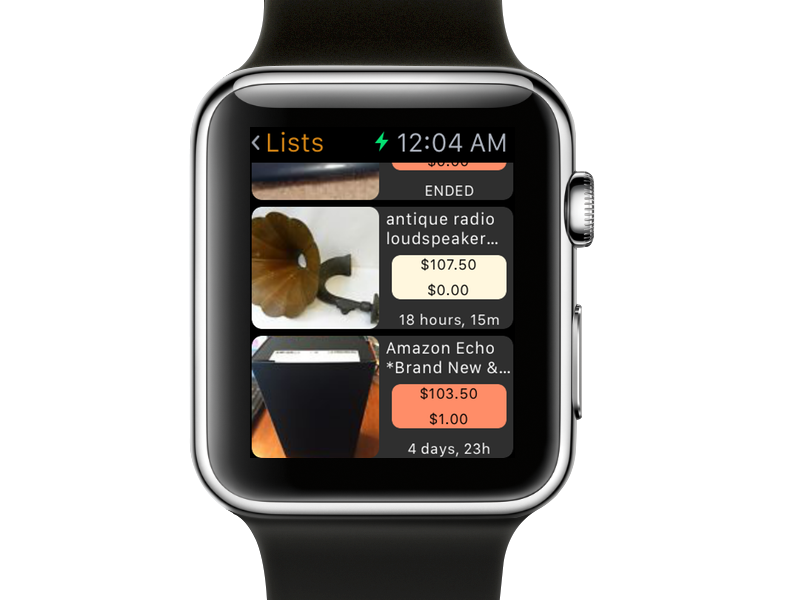 Set your scheduled bids with simple gestures - swipe to delete, press and hold to set a snipe within seconds. 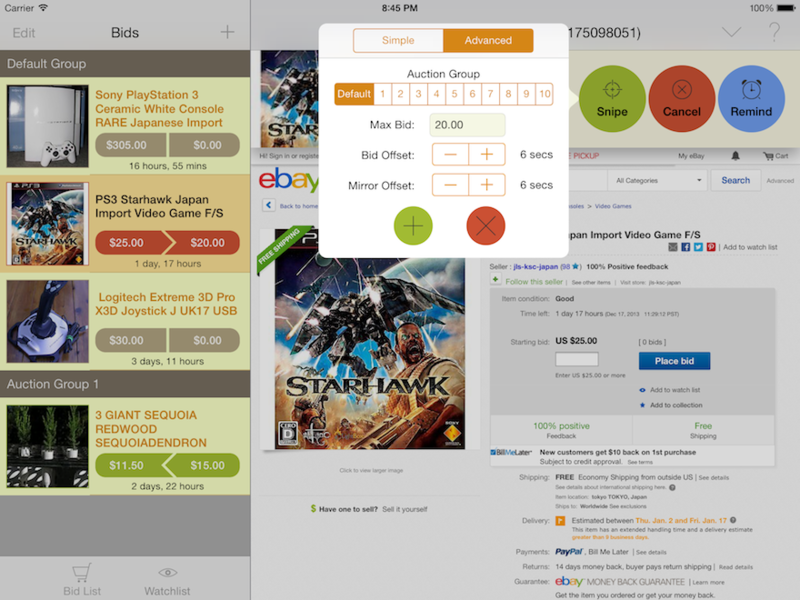 Automatically sync your auction information between devices. Set iOS Reminders so that you remember to check your bids wherever you are. Use the Browse-and-Bid feature to browse for eBay auctions, then immediately schedule a bid directly from the ForBidding interface. No need to add the item to your watchlist or to Gixen. ForBidding handles it all for you.